Musical life at Cornell is rich and varied, both within and outside the department. The Big Red Marching Band is student-run, as are the many a cappella groups. The chimesmasters who play concerts on the chimes in McGraw Tower also operate independently of the Music Department. In addition, students who share musical interests often come together to form organizations recognized by the Student Assembly (click here for the comprehensive list of student organizations). These groups vary from year to year. 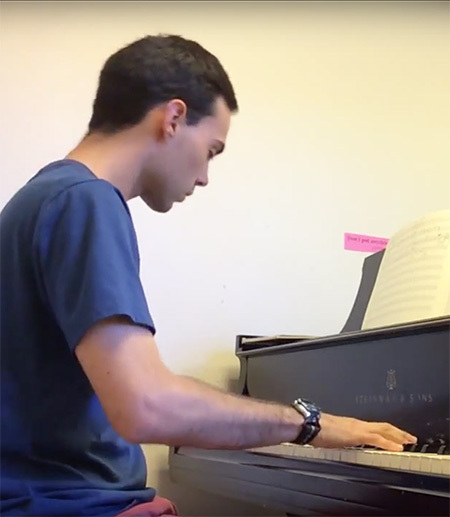 Some to watch for are the Cornell Piano Society, which provides piano lessons from students, to students; The Cornell Klezmer Ensemble; perennial favorites Yamatai Taiko Drum Ensemble; and Contrapunkt, the association of undergraduate composers. Other student groups, such as the Hangovers , a subset of the Glee Club, After Eight, a subset of the Chorus, and CU Jazz, are spin-offs from departmental ensembles. Musicians will also be interested in the dormitory JAM (Just About Music), a musically-themed program house. JAM is located on North Campus and is designated as Low Rise 9. Their Performance Space also doubles as a recording studio for those who wish to record their music. JAM has its own performance space which is used throughout the school term for concerts, programs, and practice space. There is also an excellent sound system, piano, and drum room within the “P-Space” as it is often called.